Hey! This Weekend's Phenomenal $5 Album isn't actually $5.... !! 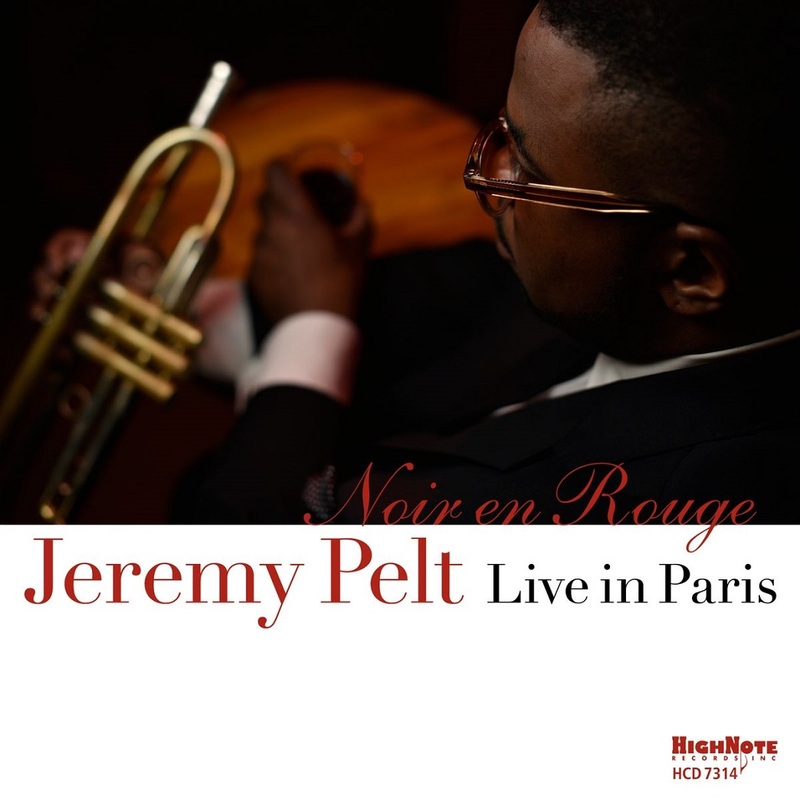 Recorded live in Paris at the famed Sunside / Sunset Jazz Club, Jeremy and his colleagues deliver a set of searing intensity and unparalleled musicianship. Pelt's group is that rarest of all things in jazz, a working band, and the communication that comes from extensive time spent playing together is evident. All the players are among the foremost 30-something neo-bop players in jazz today giving the group an all-star-type reputation with a well-rehearsed sound that comes only with familiarity and countless gigs. 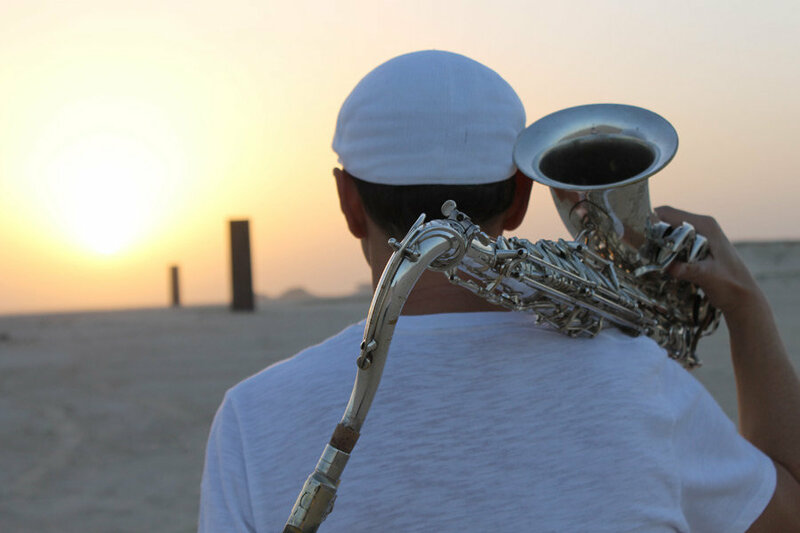 Pelt's own playing has earned accolades for his staggering virtuosity, which has elicited comparisons to trumpet icons like Clifford Brown, Lee Morgan and Freddie Hubbard, as well as for his studious, cerebral approach to the music. On this particular night in Paris, Pelt focused all his attention on creating the perfect phrase to fit each musical moment, sculpting long lines that let the music breathe and while building spontaneous ideas into finely-crafted miniatures. The opening track of ‘Avant Folk’ is like a dream of what contemporary experimental folk-meets-jazz-meets-chamber-music might be. Composed by Frode Haltli, ‘Hug’ begins with a galumphing off-centre rhythm that could be an accompaniment to elephants waltzing before the wheezing bellows-breath of Haltli’s accordion creates delightfully airy whispers of noise that drift across the other instruments like wisps of cloud across the sky. Then we get the entry of the theme, a compulsive Nordic ear-worm folk melody led by Hardanger fiddle and violin that’s half woozy sea-shanty and half universal pan-African groove, backed up by shuffle-beat drumming like Ed Blackwell with Ornette Coleman. As if that wasn’t enough for one tune already, the music continues to evolve, with a beautifully poised improvised solo on trumpet by Hildegunn Øiseth that sounds so perfect it should really win some kind of award on its own. The groove slows down, the elephant waltz returns to form a satisfyingly symmetrical conclusion and the music gradually resolves into silence, bringing to an end what has been seven and a half minutes of continuous invention. It’s quite a performance, and quite a band, the dectet of expert players covering enough instruments between them to simulate the tonal breadth of a full orchestra while retaining the humble, home-made aesthetic of a traditional folk ensemble, matching compositional sophistication and individual virtuosity with collective empathy and hard-won grace. 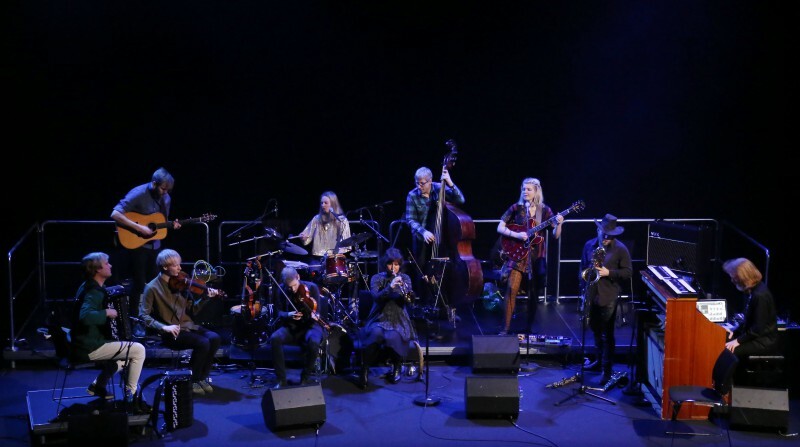 Elsewhere, as the album develops, the folk references expand to include echoes of west African desert blues, east European gypsy swing, Armenian double-reed laments and lugubrious Nordic village knees-ups on a range of material partly adapted from traditional hymn-tunes and songs from Norway and the Faroe islands to form a kind of north Atlantic gumbo. But ‘Avant Folk’ never feels like a slapdash fusion of different elements mashed together without regard for the integrity of the whole. Importantly, the band always sounds like a proper band, as fleet-footed as any improvisational jazz ensemble, and able to hurdle with ease the normal generic divides separating one type of music from another. 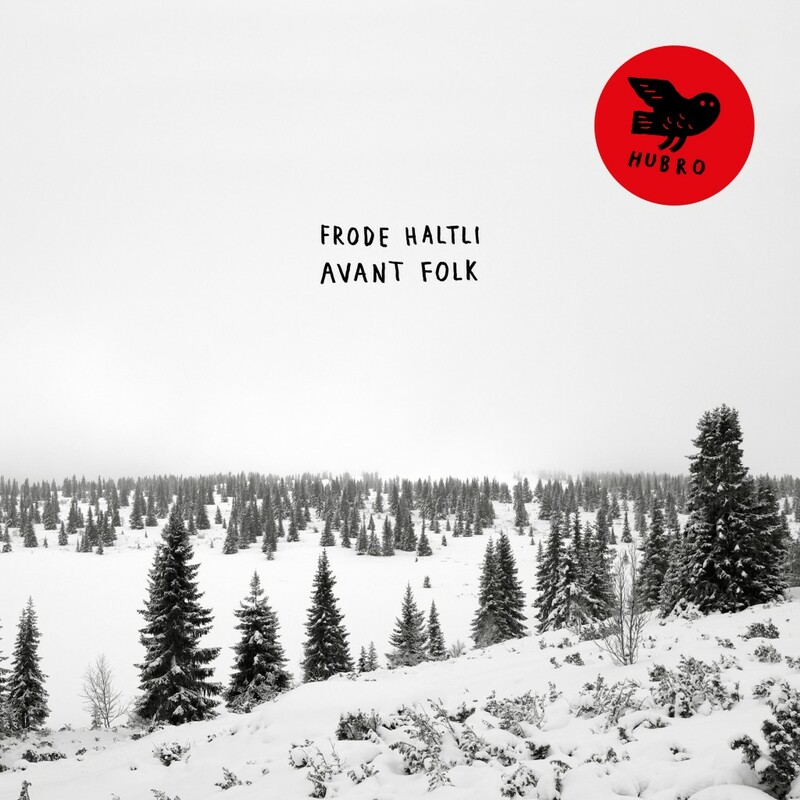 By the time the listener reaches the end of the album’s final track, ’Neid’ – another Frode Haltli composition, like the opening ‘Hug’ – ‘Avant Folk’ has effectively created its own genre, a pleasingly congruent collection of stylistic traits that sounds like nothing so much as itself. All the music, whether composed by Frode Haltli or adapted from antique sources, is arranged jointly by Haltli and the band members. So where did ‘Avant Folk’ come from and why does it sound so good? For a start, Frode Haltli (born 1975, Norway) is, like many of the ensemble’s star players, a classically-trained virtuoso who from an early age (he began the accordion at seven) has been well used to working between different forms of music, from traditional folk to the avant-garde, and to collaborating with players from all sorts of backgrounds. Haltli also composes, both on his own and with Maja S.K.Ratkje (his co-producer on ‘Avant Folk’, who is responsible for the album’s editing and mixing), and has developed very strong links with fellow musicians and composers both within Norway and internationally, once again working across the normal boundaries demarcating one musical form from another, recording the complete accordion works of Arne Nordheim, for example, but also appearing with the various groups of jazz saxophonist Trygve Seim. 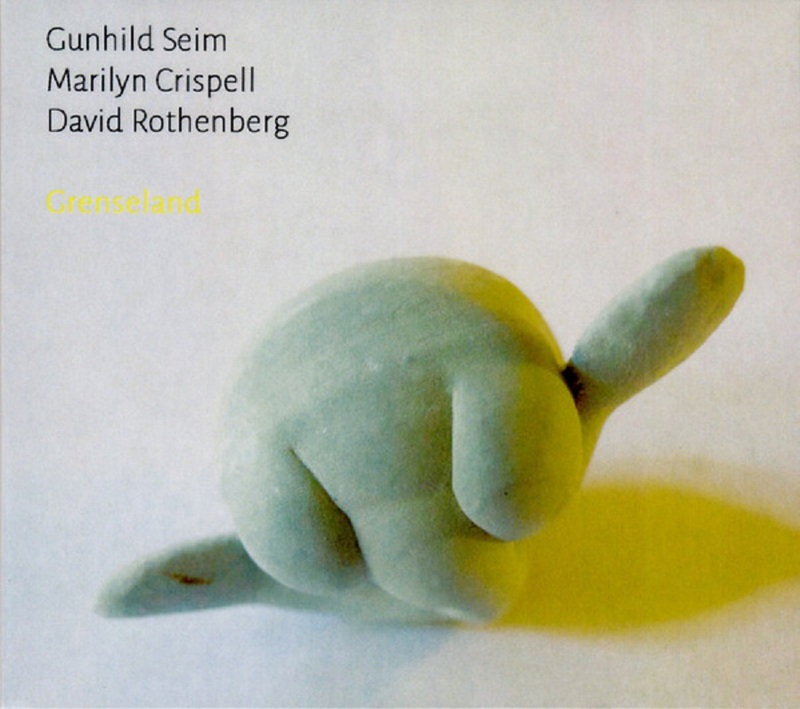 His debut recording for ECM, ‘Looking On Darkness’ was released in 2002, followed by ‘Passing Images’ from 2007, (with trumpeter Arve Henriksen, violist Garth Knox and Maja S.K. 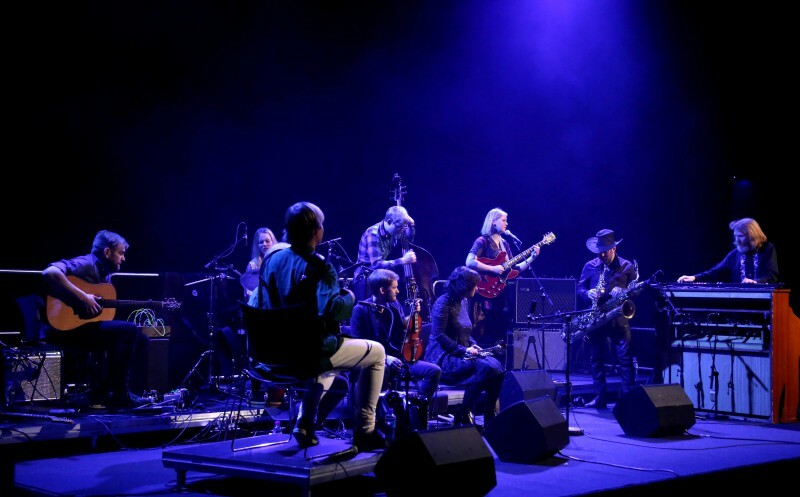 Ratkje on vocals), and ‘Air’ (2016), a recording of music for accordion and strings by Hans Abrahamsen and Bent Sorensen with the Arditti Quartet and the Trondheim Soloists. His debut release for Hubro, ‘Vagabonde Blu’ (2014), is a live solo recording featuring works by Salvatore Sciarrino, Aldo Clementi and Arne Nordheim. As if any further exemplars of Frode Haltli’s customary melding of the classical repertoire with folk, jazz and beyond were needed, we can also note his current duo with the Norwegian violinist Gjermund Larsen; The Snowflake Trio (with Irish flautist Nulala Kennedy and Norwegian fiddler Vegar Vardal); and a trio with another fiddler, Ragnhild Furebotten, and the Swedish nyckelharpist Emilia Amper. The breadth of Frode Haltli’s interests is not unusual in Norwegian music and this is paralleled by a number of his collaborators on ‘Avant Folk’, many of whom – like the inspirational fiddler Erlend Apneseth (a regular Hubro artist in a number of settings) or the keyboardist Stale Storlokken (of Supersilent and Motorpsycho, among others) enjoy similarly wide-ranging careers that weave in and out of numerous musical styles and settings. But the last word on ‘Avant Folk’ has to be the music. The album ends on the suitably epic note of Haltli’s ‘Neid’, an original composition that sounds absolutely timeless, matching a maelstrom of squeaky-gate post-serialist glissandi with an ancient-sounding dirge-like refrain. Haltli’s own stunningly adept accordion solo, its intensely emotional voicings heard against a splashy biscuit tin-lid style percussive backdrop, then gives way to the stately pairing of gently-stepping double-bass and country-roots electric guitar that in turn heads eastwards towards the Balkans before ending up back home in the northlands again, the thirteen minute performance superbly resolving itself in a final sequence of transcendent hymn-like solemnity. Wow. 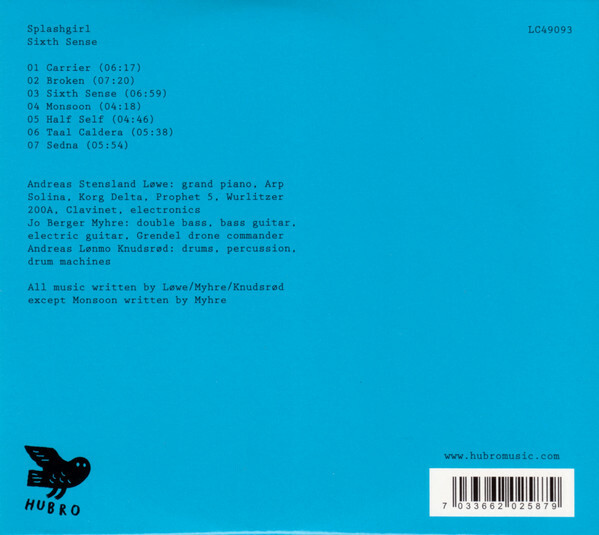 Immersive electro-acoustic trio Splashgirl (Andreas Stensland Lowe, keyboards; Jo Berger Myhre, bass/guitar/electronics; Andreas Lonmo Knudsrod, drums/percussion) was the first act to sign to the Hubro label, with the group’s second album as a unit, ‘Arbor’, marking the label’s debut in 2009. 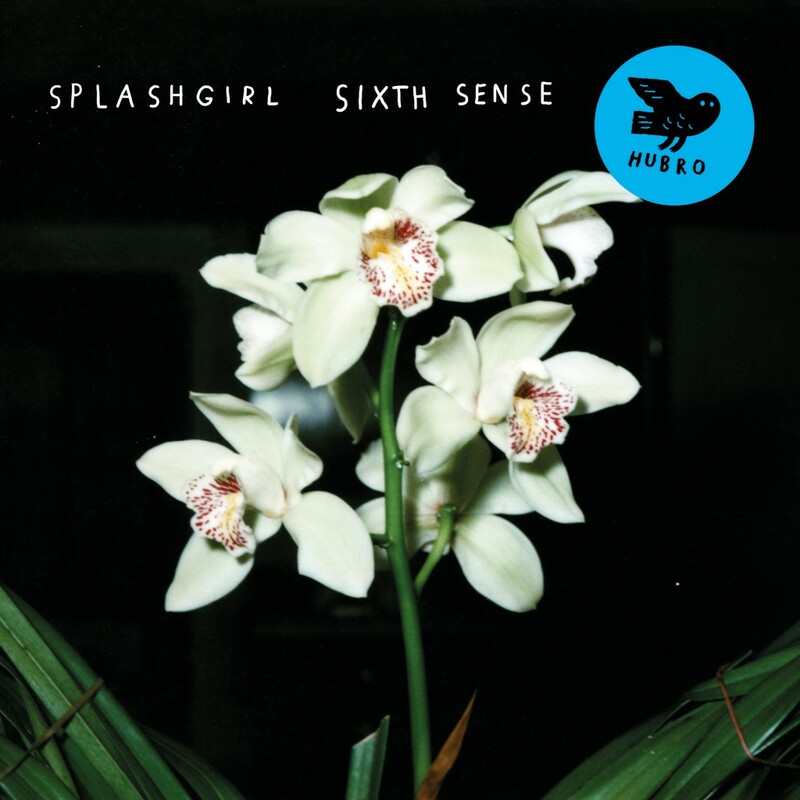 Since then, each subsequent release has deepened and strengthened the developing Splashgirl sound, from ‘Pressure’ (2011) and ‘’Field Day Rituals’ (2013) to ‘Hibernation’ (2015). With the arrival of a sixth album, which continues the band’s relationship with the inspirational Seattle-based engineer/musician Randall Dunn, famed for his work with Earth and Sunn O))), it’s evident that Splashgirl has reached the end of one span of creativity and begun to enter another, ascending to a whole new level. For ’Sixth Sense’ is a breakthrough project characterised by a radical freedom of approach to composition and performance. 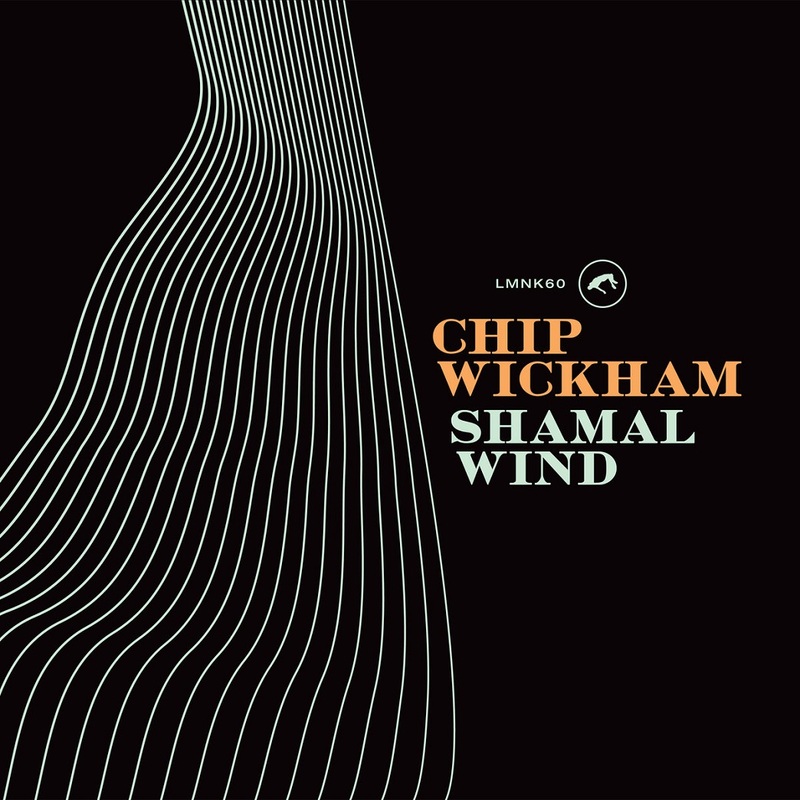 At times, the results can seem closer to the sculptural manipulation of pure sound than to the workaday norms of more conventional music-making. The wonderfully immanent, in-your-face sonic density of the album’s mile-wide dynamic range also represents a remarkably successful attempt to capture the extremes of the audio spectrum. In short, ‘Sixth Sense’ sounds immense. 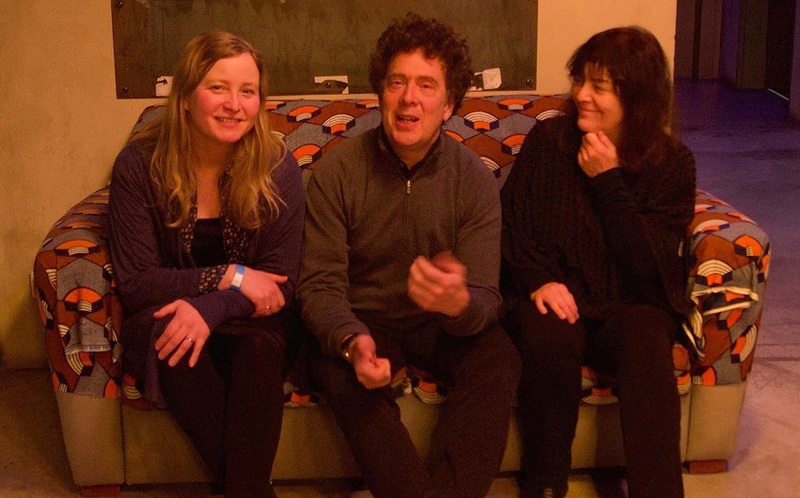 But if Splashgirl’s journey from piano, bass and drums post-jazz trio to out-there experimentalists might seem all but complete, the delicate interplay of acoustic instruments continues to perform a vital role. It’s an interplay that opens and closes ’Sixth Sense’, whose circular structure departs from, and returns to, a predominantly acoustic sound-world. Minimalistic plinky-plonk piano, thrumming double bass and splashy drums and cymbals become the jumping-off points for further sonic adventures to be explored through both live improvisation and post-production treatments, with any musical statement remaining essentially provisional until finally fixed – caught in the net – by the editing process. These signature sounds and their electronic manipulations are also to be heard alongside a myriad of musical influences, from musique concrete and leftfield post-rock to cinematic echoes of all sorts of things: ‘Blade Runner’-like retro-futurism, say; the pre-digital electric-fusion of ‘Black Market’-era Weather Report; synth-driven Tangerine Dream-style Krautrock. The result is a thrilling suite of seven separate pieces that can be listened to either incrementally or as one long-form work where the sheer density of sound and gradual accretion of meaning seems to deepen the longer it goes on, achieving by the end a kind of hard-won epic grandeur that is very impressive, moving even. The range of Splashgirl’s influences and reference points, and the tastefulness with which they have been chosen and employed, also serve to reinforce the sense that there’s a real creative intelligence at work here, and that the listener can relax with confidence into whatever new journey they are being taken on. There might be no clear destination in view. But it will definitely be interesting. ‘Sixth Sense’ was partly recorded in Iceland by Randall Dunn, at the same 2015 sessions that produced ‘Hibernation’, and partly by Splashgirl at the trio’s self-built studio in Oslo, in March, 2017. 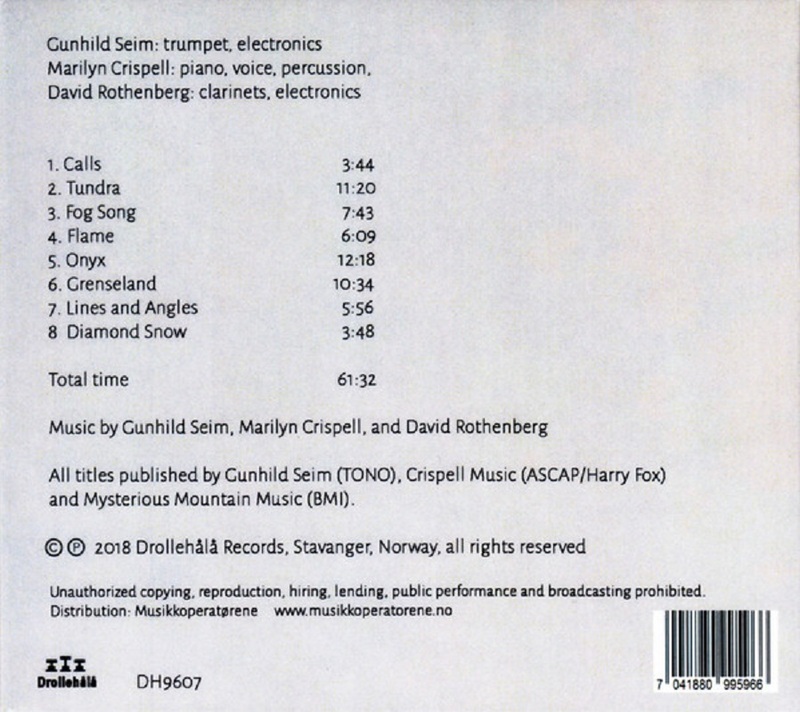 The album was mixed by Johnny Skalleberg at Amper Tone, Oslo, and mastered by Espen Høydalsvik at Tinnitus Mastering, Oslo.